A Warwickshire county councillor has changed his mind over a plan to allow a 'waste station' at a site in rural Kenilworth after speaking to the applicant. Cllr Dave Shilton had said he had 'serious reservations' about the plan to retrospectively give planning permission for a 'waste transfer station' at Magpie Hall, off Rouncil Lane near the junction with Woodcote Lane. The planning documents did not say permission would be retrospective, meaning permission given after the project is finished. 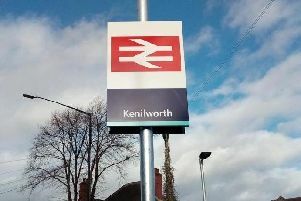 This caused a lot of confusion, and Kenilworth Town Council objected to the plan. But after being contacted by the applicant Simon Sleep of Warwickshire Waste, Cllr Shilton said he no longer had a problem with it. Cllr Shilton said: "There's going to be a maximum of 40 vehicle movements per week, which is acceptable. "It may still have to go to committee because there's been more than five objections, but I'm satisfied that there's no major traffic problems." Warwickshire Waste currently uses the site as a skip hire business. The waste station stores piles of waste in an area surrounded by a three-metre high concrete wall. Cllr Shilton also said Mr Sleep told him the waste is not there for any longer than two days before being sold, such as for soil. The business is open from 7am to 6pm from Monday to Friday, and from 7am to 1pm on Saturdays. In its application, AC Environmental Consulting, on behalf of Warwickshire Waste, said impacts on neighbours are small and claimed operations are 'smooth and efficient'. The county council will make a decision on the plan some time after Friday July 6.